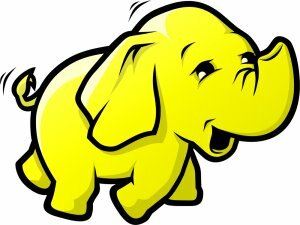 A few months ago I had no idea what Hadoop was but now I know its where all the cool kids play with big data. Seems that the old guard is picking up on it too. A few weeks ago it was reported that Microsoft was integrating Hadoop options into SQL Server. And now Ars reports that data warehouse titan Teradata is bringing its own Hadoop friendly solutions to the table. In announcing the Teradata Aster MapReduce Platform, Teradata is acknowledging that the growing popularity of Hadoop, which is free and open source, is cutting into their bottom line. The Aster MapReduce Platform will allow analysts to use the SQL queries they are familiar with on top of Hadoop which on its own requires writing queries in more traditional programming languages such as Java or Ruby. From personal experience, I know that reformulating SQL queries into Ruby code to run as MapReduce jobs on Hadoop is no small task. So Aster will likely be welcome in many quarters, especially those comprising a lot of Teradata’s current customers who may be contemplating moves away from their conventional (and expensive) data warehousing tools and services. Of course, Microsoft and Teradata are not the first to offer tools that layer SQL and analytics on top of Hadoop. Tools like Hive and Datameer have been available for a while now. Where there’s smoke, there’s fire. So Teradata getting into the Hadoop game speaks of quite a raging blaze below. Proliphus Enterprises Inc. is a software development house specializing in iPhone app development, games, and web design. Proliphus Enterprises also publishes eBooks under the Learncrest imprint.